From concerts to a 5k, socials and luncheons to happy hours, we’ve got the events to round out your Red Hat Summit social agenda. TIME: 8:00 a.m - 5:45 p.m. The OpenShift Commons gathering at Red Hat Summit will focus on talks from end users with production deployments of OpenShift® sharing their use cases, lessons learned, and best practices with experts from all over the world. We'll also discuss container technologies, best practices for cloud native application developers and the open source software projects that underpin the OpenShift ecosystem to help take OpenShift to the next level in cloud native computing. The event will gather developers, DevOps professionals, and sysadmins to explore and collaborate on making OpenShift and the container technologies successful and secure at scale. If you are new to Red Hat Summit, please join us for the first timers’ reception. 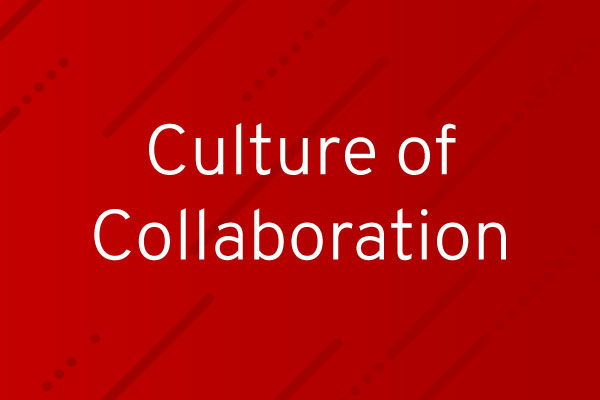 Red Hat Summit is a collaborative forum—a place to expand your possibilities, and where ideas become reality. Come join us for a drink and learn how to get the most out of your Summit experience, from growing your professional network to envisioning ideas you could soon make reality. We look forward to meeting you! 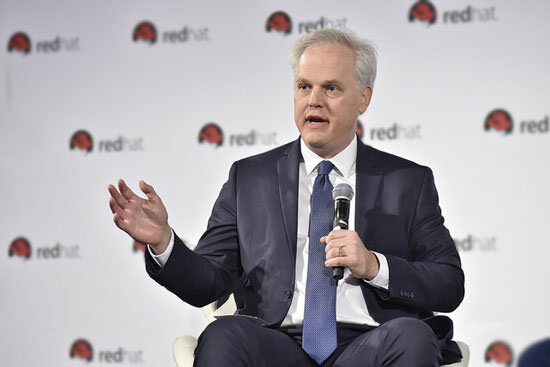 TIME: 8:30 a.m. - 11 a.m.
We invite executives at Red Hat Summit to experience how we use our flagship Red Hat Open Innovation Labs space to catalyze application development and a new way of working for organizations. Attendees will learn about the impact that Red Hat Open Innovation Labs has had through a customer panel, embark on an immersive tour to experience some exercises and tools that we use to help customers transform, and network with peers. TIME: 7:30 p.m. - 9:30 p.m.
Have fun, unwind with hors d'oeuvres and drinks, engage with colleagues, and interact with your favorite speakers from the Culture of Collaboration track. TIME: 10:00 a.m. to 1:30 p.m.
Doggone it if there isn’t a puppy pen in the Expo Hall this year, care of Great Dog Rescue New England. This rescue saves dogs from kill shelters, streets, and from owners who can no longer care for their pets. So if you just need an event pick-me-up that only canine cuddles or puppy kisses can bring, stop by the pen on Wednesday from 10 a.m to 1:30 p.m. or Thursday from 10:30 a.m. to 2:30 p.m. If you fall in love, know that all dogs are available for adoption. TIME: 5:30 a.m. - 9:00 a.m.
We’re excited to host our seventh annual Red Hat Summit 5K Fun Run, sponsored by IBM. The run is free and open to all attendees who register for the race and wish to participate. Limited edition running shirts are available to participants who donate $15 or more to this year's cause, Boston Partners in Education. Boston Partners in Education enhance academic achievement and nurture the personal growth of Boston’s public school students by providing them with focused, individualized, in-school volunteer support. TIME: 11:30 a.m. - 1:00 p.m.
Join Red Hat associates, customers, partners, and open source contributors for a presentation that will celebrate the contributions women make to technology. This event is sponsored by HPE. All are welcome. TIME: 11:30 a.m. - 1:30 p.m.
Take a closer look at the open source technologies that promote collaboration in the public sector at the government and education lunch. TIME: 6:00 - 8:00 p.m.
Join the Red Hat financial services team for engaging conversation, libations, and networking with your peers. Connect with colleagues and learn what is possible through collaboration. Dinner and beer will be provided. 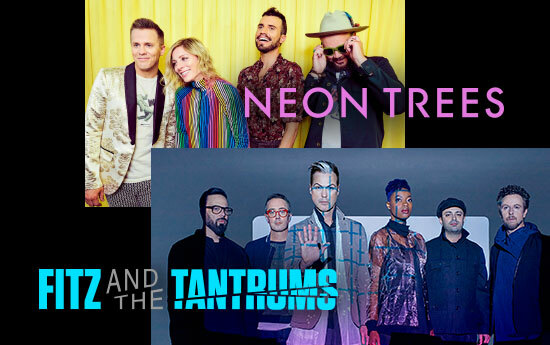 What better way to wrap up the event than by attending the annual Red Hat Summit party with our two bands, Fitz and the Tantrums and Neon Trees! Join your friends and colleagues for food, drinks, and two stellar performances at Rockland Trust Bank Pavilion. Red Hat expects our attendees to adhere to our code of behavior. If you need assistance relating to conduct by an attendee, please contact the Red Hat events team.